Please note that beginning Saturday, February 2nd, Wordzen will no longer be available 24 hours a day. Editor coverage will be Monday – Friday, 4 AM to 7 PM ET, and there will be no weekend service. You can still submit messages during off hours, but they will not be edited until the next editor’s shift. We’re doing this in an attempt to keep subscription fees the same while we re-evaluate our business model. 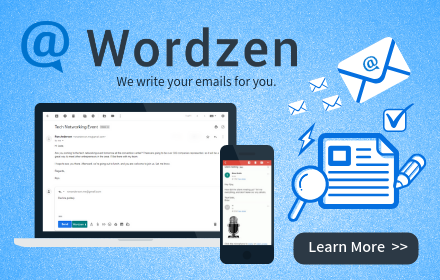 If you have any questions or would like a refund, please contact ajay at wordzen.com. We thank you for entrusting Wordzen with your messages, and we look forward to continuing to serve you in the years to come!